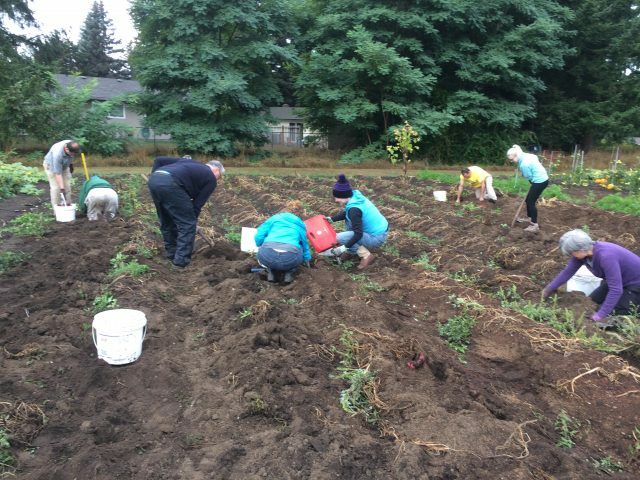 Saturday September 15th was the annual potato harvest at the St. Mark Community Garden. This year we planted a new potato variety, Red Lasoda, hoping to have a better harvest – and we did!! 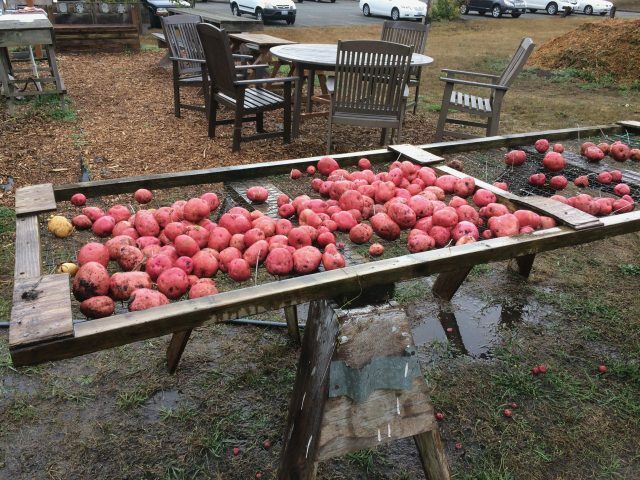 The potatoes were large and beautiful and we harvested about 1500 pounds. 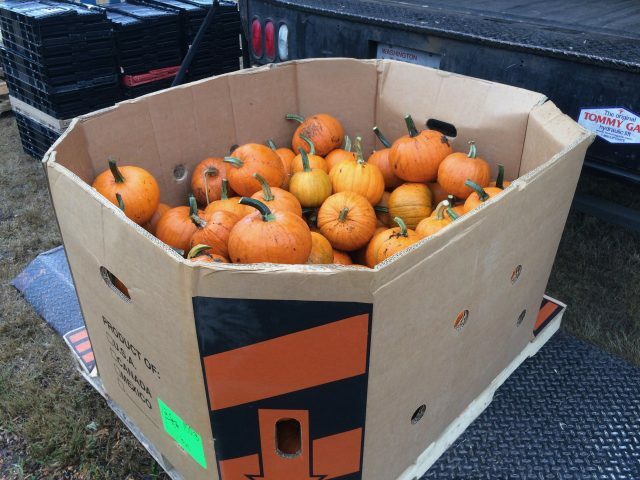 We also harvested 500 pounds of pumpkins. 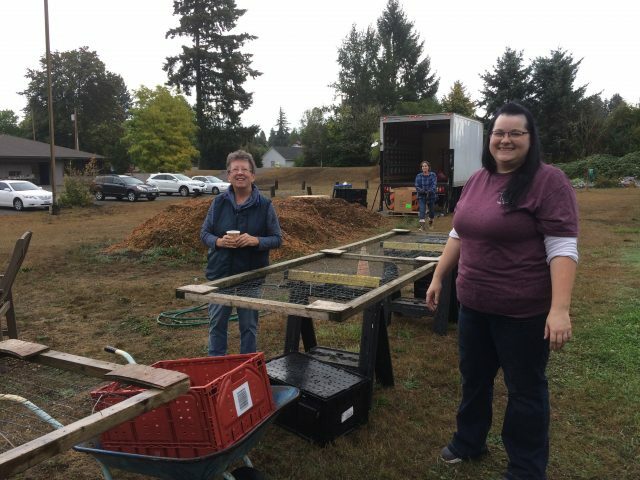 Two staff from the Thurston County Food Bank (TCFB) brought a large truck with a scale for the event. 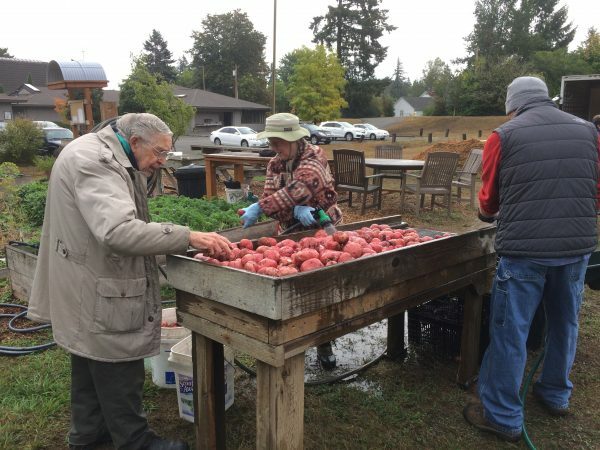 We dug, washed, weighed, and packed the produce in less than 2 hours – thanks to church members, community gardeners, and 6 people from the TCFB volunteer gleaning program. We had volunteers from preschool age to 80+ and it was a joyful experience! The garden has harvested 8800 pounds so far this year and we will publish the final total at the end of the growing year. A big THANK YOU to the many volunteers that make this garden possible – with a special thanks to GARY D, and DOTTIE I who volunteer full time each summer.